Gian Jyoti Global School Students brought laurels to the school by winning 1 Gold Medal and 2 Bronze Medal at Khed Mela organized by Gurudwara Sacha Dhan Sahib in Mohali. Gurpartap Singh (10th Class) won Gold medal in 100 mts race and Bronze medal in long jump. Bhavishay (Class 7th) won Bronze medal in 100 mts race. Over 250 students of tricity participated in the competition.Ms. 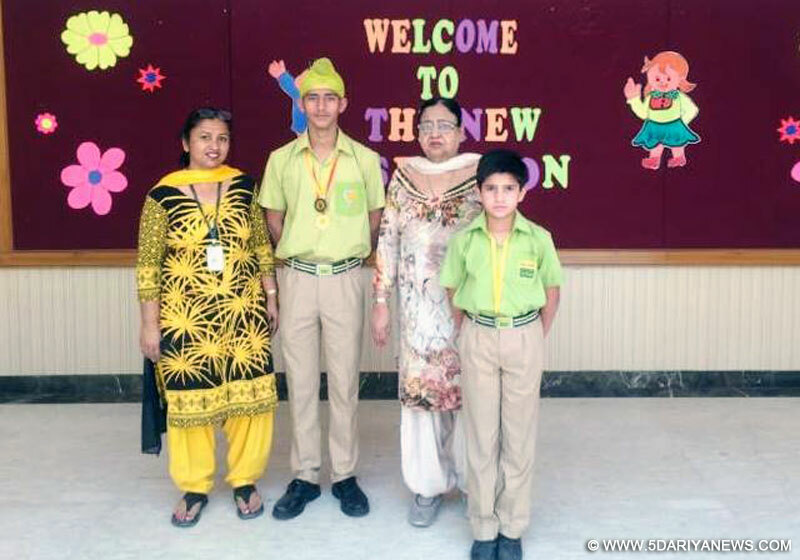 Ranjeet Bedi, Principal, Gian Jyoti Global School congratulated the students for their achievement. She further said that other students should get motivation to take part in such extracurricular activities. Such activities provide a platform to showcase their hidden talent. Sports give us a sense of discipline, respect for others and national pride. Such Championships or Initiatives would help the country to uplift the sports standards of the country, she added.